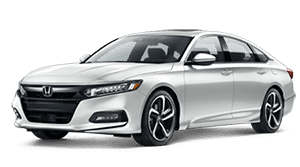 Secure a vehicle companion that caters to your safety needs while providing for your style and comfort wants, secure a versatile Honda Accord today. The Honda Civic brims with luxurious amenities, is packed with safety systems and boasts a competitive price tag. Prepare to have your expectations exceeded, test drive one now! Hit the open road behind the wheel of an inspiring compact crossover that features innovative technological advancements, find your Honda CR-V today! 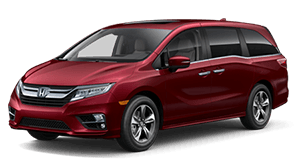 From its visual appeal to its vast interior dimensions, impressive safety ratings and powerful performance specifications, the Honda Odyssey is a ride you don't want to miss. 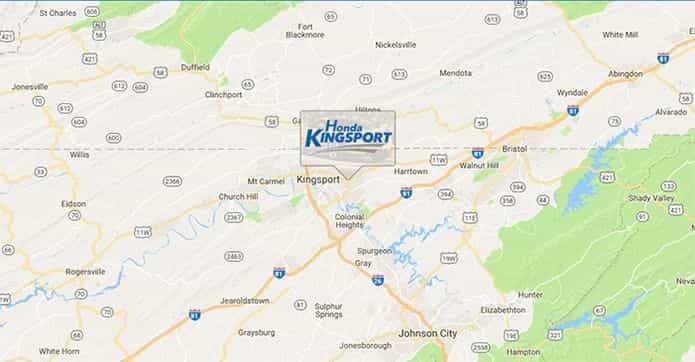 Honda Kingsport is a new and used dealership in Kingsport, Tennessee that proudly serves Bristol and Johnson City drivers. Our helpful Honda team is eager to learn about your auto needs and provide you with the high level of service that you deserve, so don't hesitate to browse our secure website now. 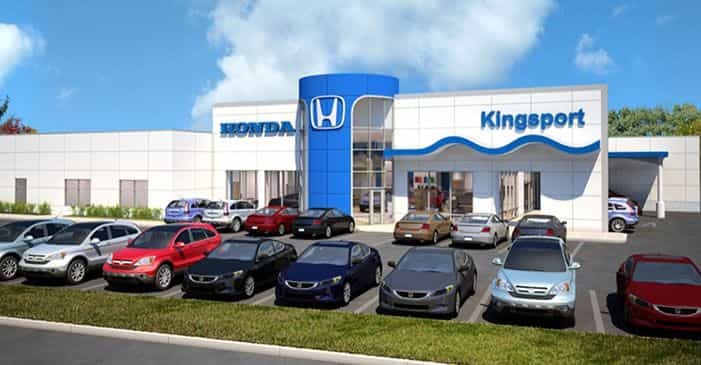 There are so many benefits that come from shopping at our Honda dealership, and we invite you over to experience the Honda Kingsport Difference today! We'll walk you through our Nationwide Lifetime Powertrain Warranty, review or Love It or Leave It exchange policy and get you set up for an invigorating Accord test drive, so what are you waiting for, shop our Honda selections on-site or online now! Talk to our friendly Honda professionals about the commuter vehicle you're searching for, or how you'd like to trade in your current car. We'll tailor a shopping plan that caters to your Honda needs, presenting you with competitively priced options that complement your search requirements. 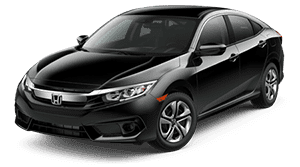 Slip behind the wheel of a stylish new Honda Civic Sedan or learn how you can secure bad credit financing for that quality used Honda CR-V that has caught your eye! Whether you're looking for research information, auto financing or an oil service, our professional Honda team is here to assist! Honda Kingsport has impressive new Honda vehicles to explore so make your way over from Bristol to our Kingsport, TN location today! 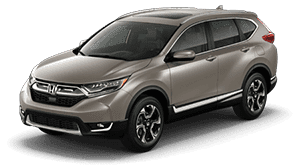 We'll help you find the new Honda CR-V trim that will put the fun back into your driving excursions and will gladly review the comprehensive Nationwide Lifetime Powertrain Warranty that we offer on every new Honda model. Visit our stress-free environment to browse our monthly Honda specials now! Our Honda finance department specializes in auto loans for a range of financial situations, so whether you're looking to apply for auto loans with a less than perfect credit score or would like to explore the competitive rates your pristine rating will get you, Honda Kingsport is eager to assist! Team up with loan professionals who care about your financial well-being, contact our new and used Honda dealership today! Visit Honda Kingsport before starting any at home vehicle repairs so that you can acquire all the OEM items you'll need to ensure the job can be completed safely. Our Honda parts department will review all the benefits that come with using genuine components, and our online form makes it easy to order Honda parts and accessories from the comfort of your Bristol, TN home, so don't hesitate to get your search started now! Honda Kingsport not only offers stylish used Honda cars for sale but we also carry a variety of pre-owned makes and models! Explore your upgrade options today, make your way over from Johnson City, TN to our convenient location or use our website to learn more about our pre-owned inventory today! Thanks to our Trade-In Guarantee and Love It or Leave It five-day exchange policy, you can shop confidently! Our factory-trained Honda technicians also hold ASE certifications, so no matter the make or model you currently drive, our Honda service department can assist with your maintenance and repair needs! Browse our current special offers before using our secure website to schedule your tire rotation or give our helpful team a call to discuss a particular need now. We look forward to keeping your Honda Odyssey healthy for many years to come! Explore the useful resources our secure Honda website has to offer today! You can shop our new and used inventory, view our in-transit options, apply for auto loans and gather vehicle research information, all without leaving your home! Our Honda professionals are standing by, ready to answer any questions that may arise during your online inquiry so don't hesitate to contact Honda Kingsport in Kingsport, Tennessee!